This large design of contemporary furniture construction gives beautiful living room appearance with minimalist color furniture application. Sybarite takes Marzorati Ronchetti along to create the particular contemporary sleek design seating furniture called Archetto seating. This London design contemporary furniture is the appropriate furniture design for best office entrance design. 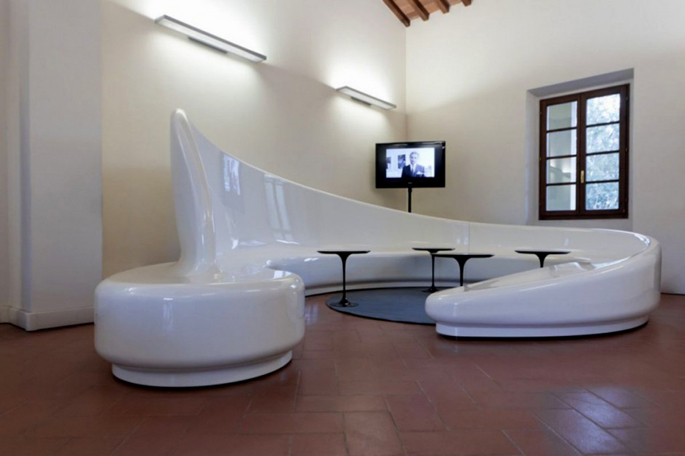 This contemporary long living room bench design by Sybarite is inspiring modern living room furniture design.